W. W. Norton & Company, 9780393341133, 342pp. As an epigraph from The Souls of Black Folk by W. E. B. Du Bois reminds us at the start of this novel, "Throughout history, the powers of single black men flash here and there like falling stars, and die sometimes before the world has rightly gauged their brightness." Protagonist Theo Boykin is a genius, an artist, an inventor, a Leonardo DaVinci-type, whose talents are sought after by local blacks and whites alike, but even this is not enough to save him. He falls victim to "the tragedy of ignorance and the damage caused by fear," in the words of poet Rita Dove--the first African American to serve as U.S. 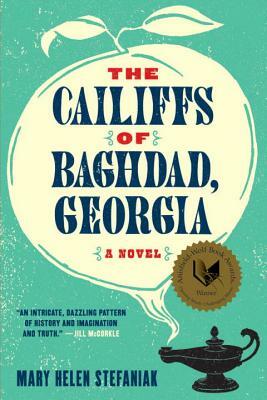 Poet Laureate and a member of the jury that conferred on The Cailiffs of Baghdad, Georgia the 2011 Anisfield-Wolf Award for books that "make a significant contribution to our understanding of racism and our appreciation for the diversity of human cultures." You won't forget Theo Boykin, nor will you forget his friends the Cailiffs, especially Gladys, who tells this story with love and bewilderment, and the teacher, Miss Spivey, who changes all their lives.